you cope with bad weather like a mythological hero. You are made of concrete that surrounds a primeval fire. giving you a authentic flavour that only grows. 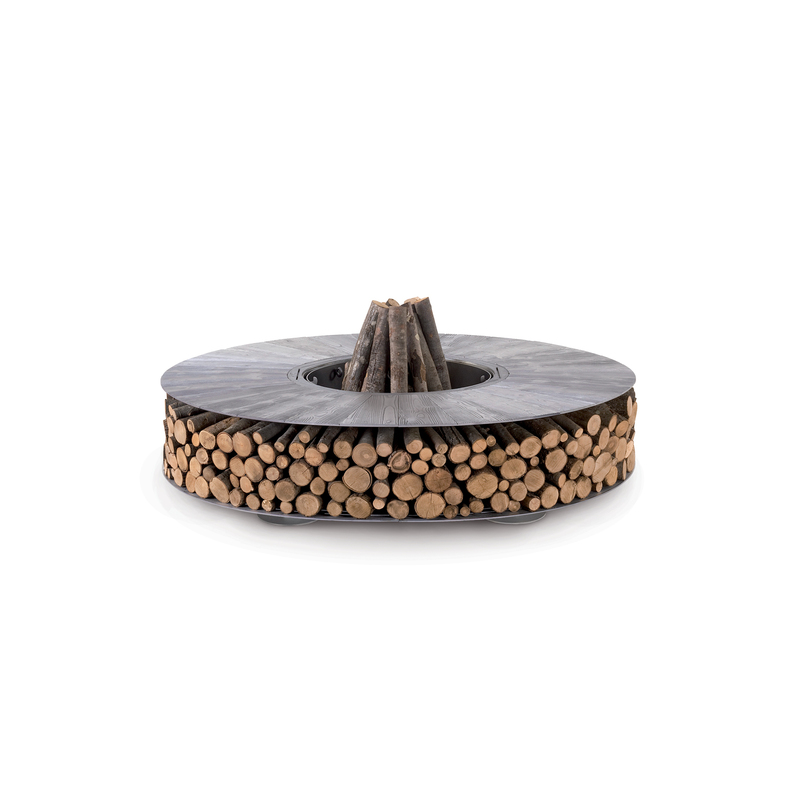 Ercole is a outdoor wood-burning fire pit. It is born by the union of two raw materials – the steel as a structural element and the concrete which decorates and enhances its design. 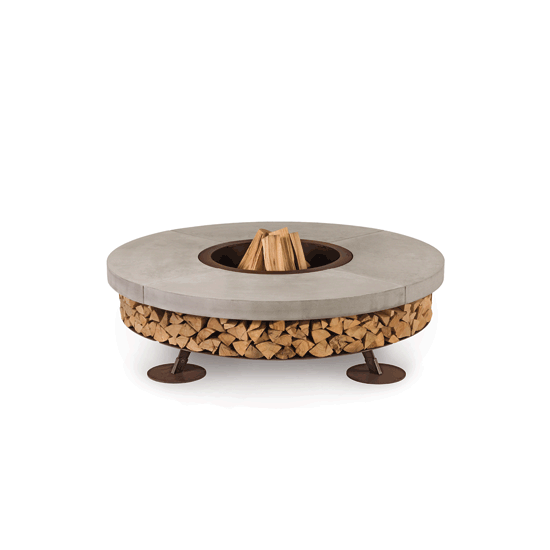 Not a simple hearth, but a decorative outdoor furnishing, strong and statuesque. 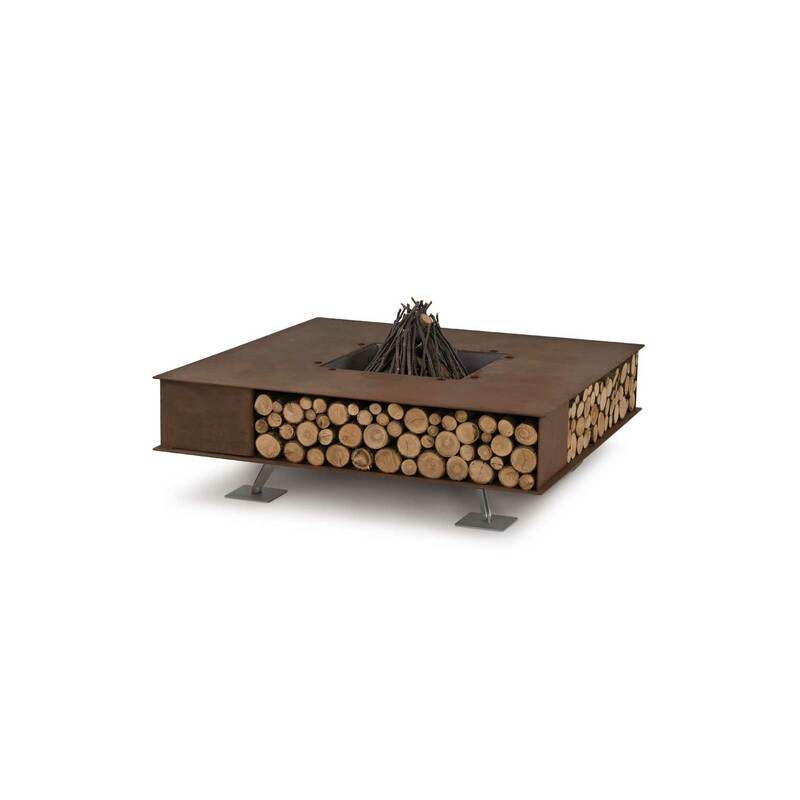 Many people can gather around Ercole, creating a convivial focal point outdoors that only the light and the warmth of fire can give. Ideal for gardens, parks, terraces, hotel outdoor areas, golf clubs and so on.